My friend Megan from high school may be moving here from California. She's ready for a life change like I was 20 years ago when I moved here. She's already applied for jobs and looked for apartments, so when the timing is right she is ready to make her move. For me, moving here was the best thing ever. Even though the weather isn't great in the winter, there is so much to do, and I look forward to showing her around and giving her a glimpse of just how full her life can be. In a nutshell, it'll be baseball in the summer, football in the fall, and basketball in the winter. Good thing she loves sports as much as I do. Eric said he wants to play football next year. It drives him crazy sitting in the stands; he just wants to be out there. When he played quarterback in 7th and 8th grades he had the best time. I have no idea what position he thinks he's going to play, but I'm sure it's just a passing fancy. I hope so. We've got a year for it to pass. Next year when he's grown another two inches, I'm sure he'll realize that he was cut out for basketball and basketball only. But it didn't help the other day when he and Brian threw the football around like they did when Eric was little, with Eric barking out orders as to the exact placement of the ball. "Higher." "Okay, just like that but throw it a little sooner." And then he couldn't stop until he had a perfect horizontal catch. You know, it had to be dramatic and replay-worthy. Some things never change. In Spanish class the other day, Eric's teacher said to him, "Are you related to Joe Moeller?" Eric said, "Yes, that's my grandfather." She said, "Really? I know him. So you're related to Gary Moeller then." Eric said, "Yep, that's my uncle." His teacher said, "Wow. I know Gary really, really well! I can't believe that's your uncle. Does he still live in University City?" That's when they realized they weren't talking about the same people. Isn't that weird, though, that she knows a Joe and Gary Moeller? I went to school with a girl named Persephone who had a sister named Antigone. They were both kind of eccentric and kooky. So what effect does a name have on a person? There's a man in our town named Harry Pitts. I mean, really. Did his parents not know when they named him Harold that he might be called Harry? I wonder if he has a sister named Olive. In high school I knew kids in a family whose dad was a writer; their names were Reed, Wright, Story and Paige. I think that is so clever. At least those are somewhat normal, unlike Apple or Bronx Mowgli or Pilot Inspektor or Fifi Trixibelle. Celebrities try to outdo each other with bizarre names. "Hey, Moses, wanna go ride bikes?" How about you. Know anyone with an unusual or interesting name? And Dad, Amanda Peabody Jones and Lyndzey McGillicutty don't count since you made them up. I remember when a girl used to call my brother Harry Gary Gopher Guts. Now there's a name for a celebrity baby. My childhood and teen years were spent in Manhattan Beach, California. Quite different from my son's Midwest roots. 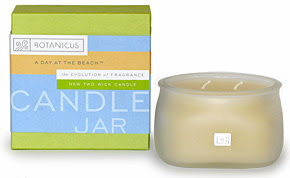 So when my dear friend Megan sent me a Botanicus candle and room spray today called Day at the Beach, Eric lit the candle (what is it with boys and fire?) and said, "Ewww, it smells like suntan lotion and sand." Ewww, it smells like suntan lotion and sand? Are you kidding me? To me there is nothing like the smell of Coppertone suntan lotion (ok, I confess, sometimes gasp! even cancer-causing dark-tanning oil) for sweet reminiscence of hours spent at the beach, with the waves pounding and sun crashing down on burnt, crinkly skin. Ahhh, I can feel the breeze as yet another waft of suntan lotion and sweat from my volleyball playing friends ripples up my nose and in to my brain. And that's where it has stayed, in my brain all these years, from so long ago, bringing a deja vu feeling every time I smell that smell. Mmmm, I love it! My son on the other hand, he will probably grow up reminiscing about OFF! bug spray, poor thing. You can find the candle and spray and even a diffuser at http://www.tabularasaessentials.com (and no I didn't get paid for that endorsement, but I sure do love that store in Manhattan Beach). Go to the site, click on Homestyle and then click on Candles/Home Fragrance and go to botanicus. You can find OFF! bug spray at your nearest Walgreens. Here's a picture of my latest splurge, which cost a grand total of $23.00. Can you say cheap thrills? This is how we read. The second I lie on the couch to read, these two jump up and cover me like a blanket. Thought I'd throw this in for old time's sake, from high school. That's me, 3rd from the right - with short brown hair (I swear it's me), at our annual Cowabunga Bash at the beach. Gosh did we have fun. Our bathing suits came from secondhand stores. Aren't they a riot? Just wanted to share with you these pictures of Larry's sister's new English bulldog puppy, 8-week-old Lulu. Sasha, the white Coton du Tulear, is also their's. Honey, can we get one? Look how cute we look together. Puhleeze!! Can you guys do me a favor? If you subscribe to my blog and get my posts automatically, can you let me know by sending me a quick email or write a comment on here? I can't tell who subscribes and I don't want to send you an email of my updates if you're already getting them. 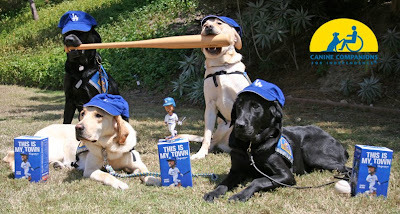 Remember my earlier post of this picture of the Canine Companions for Independence dogs? I incorrectly assumed it was done with Photoshop, but my dad emailed the guy in charge of arranging the dogs for the picture and insisted he set me straight, which he did. No Photoshop involved, only smart dogs. 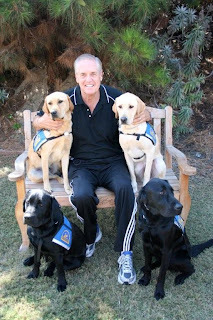 A recent picture of my dad with the CCI dogs. He and Trudy are waiting patiently for a "reject." Eric had a physical yesterday, and I hate to tell you this Gary, but you are shrinking. A few days ago I had said that, after measuring them back to back, Eric and Gary were the same height. Since Gary has always been 6'8" (6'7 3/4" to be exact), we assumed Eric was as well. But Eric is actually 6'6 1/2", so, well, I'll say no more. That's the good thing about starting out so tall when you're young, Gare. Brought home Eric a pair of size 14 Nike's yesterday, thinking surely his feet hadn't grown since, what, last year? Silly me. They didn't fit. He custom ordered a size 15 online. Jeez. School starts tomorrow, with 1/2 day tomorrow and Friday and regular schedule on Monday. Here are E's classes for his sophomore year. Sophomore? Yikes. My stepdaughter Julie got her first real job since graduating with her master's in Education in May. She's been looking for a while and getting antsy because of the recession and teachers not retiring, etc. But tomorrow she starts as a 4th grade teacher at a school in Alsip, Illinois, which is about 30 miles from where she lives in Chicago. She's a bit nervous, but she will do great! 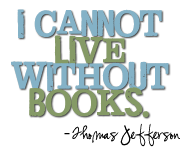 I've been a reading fool lately. Yesterday I finished The Last Lecture by Randy Pausch, picked up a library book on hold called Crazy for the Storm by Norman Ollestad and finished it already. You know what the Last Lecture is about. Crazy for the Storm is a memoir about the author, who at age 11 was the only survivor in a plane crash that killed his dad, his dad's girlfriend, and the pilot. The story went back and forth between the author's life while growing up in Malibu with a dad who pushed him constantly to be the best at everything, including snow skiing, surfing and hockey to the actual plane crash. Really good book and an easy read. Has anyone read any of these, or plan to? *UPDATE* I've finished my "100 Things About Me." If you already saw the first 50 in my previous post you can move on down to #51. 33. I was a single mom for 13 years. When Eric was about two, I started a local chapter of the National Organization for Single Mothers. I collected dues, wrote a newsletter, held meetings, and through this group met some of my closest friends. Nobody knows like one who's been there. 43. I love taking naps. They rejuvenate me and give me a second wind for the end of the day. 51. I am a good speller and have a sort of photographic memory with words. I can picture whether or not the word is spelled right if I've seen it even once. Eric inherited this from me...yay! 52. I enjoy crossword puzzles. 53. I enjoy doing calligraphy. 54. I am always on time or early when I have to be somewhere, and so is my husband, which is nice. 55. It takes me 10 minutes to get ready (makeup, hair, dressed). 56. The older I get the less tolerant I am of noise and commotion. 58. My first car was a Toyota Celica. I now drive a Lexus hybrid SUV and love it. 60. I am a candy fanatic, not chocolate so much, but Sweet Tarts, Skittles, Gummy Bears, etc. 61. My favorite ice cream is Peanut Butter & Chocolate or Jamocha Almond Fudge. 62. I have a terrible memory for books, events, movies, names, etc. That's why I take a lot of pictures. It helps me remember events. I write short reviews on my blog for the books I read just so I can remember what they were about. 63. I have 25-30 photo albums. 64. I am grateful that my dad instilled a sense of fitness in us at a young age. When my sister and I were 13 and 16, he bribed us with $100 each if we ran a 10K. We both finished and got our money, and we both have worked out ever since. 65. My first jobs were: renting out roller skates at a surf shop (age 14), busing tables at a small breakfast place (age 15), filing and secretarial work in the doctor's office where my mom was a nurse (age 15 thru 19, part-time), as an aerobics instructor at the Nautilus gym my dad owned (age 16, part-time) and as a bagger at a grocery store - I loved this job for some reason (age 17). I got my first full-time job with benefits as a secretary for neuroscan facility (CTs, MRIs, EEGs) at age 19 and was a medical secretary thru age 42, working for general surgeons, psychiatrists (for 15 years), and neurosurgeons, when I was 19 thru 25, and again as my last job before I retired. 66. I worked two jobs when Eric was born. I dropped him off at a daycare at 6:15 AM, did typing for a doctor for an hour and a half, then went to my next job until 5:30 PM. I did that for 2 years until my main job finally gave me a raise. 67. 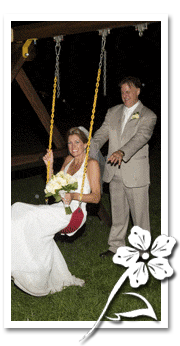 I got married for the first time at age 42. 68. My mom got carded on my 21st birthday...and I didn't. 69. I read magazines backwards. 70. I have herniated lumbar discs, but if I exercise and stretch I am able to stay pain-free. 71. I enjoy watching dance, cheerleading and gymnastic competitions on TV. 72. I didn't inherit a talent for playing a musical instrument like my brother, but my whole family, including myself and Eric, have rhythm and are good dancers. 73. I have no interest in politics. Maybe when I'm older? 74. Sunflowers are my favorite flowers. 75. I find cemeteries fascinating and like reading the headstones and imagining what the person's life was like. 76. I want to be cremated and scattered in the ocean where I grew up because I don't want anyone to feel like they have to visit my grave site. 77. I despise winter, and fall just reminds me that winter is around the corner. Spring and summer are my favorite seasons. 78. I'm the only one in my family who didn't need braces. 79. I have a "signature" random act of kindness that I do, but it's not anonymous. Whenever I am in a grocery store parking lot, I look for people who are loading their cars with groceries and ask them if they'd like me to take their cart back for them. It's such a small thing, but elderly people and pregnant people really appreciate it...especially in the winter time. 80. My grandmother taught me and my siblings a language, much like pig Latin, called Double Dutch. My sister and I, especially, used to speak it all the time when we didn't want people to know what we were saying. Eric is now fluent in it as well. My friend Linda also speaks it and has taught her kids. 81. I met my friend Linda in 4th grade and we were only friends through 6th grade, when she moved to Illinois. However, we were together constantly during those few short years, and even though we don't see each other very often, we made a lifetime of memories that will keep us bonded forever. You should see our emails to each other... "Remember [such and such]?" For someone who has a terrible memory, we had so much fun together that I remember more details of that stage of my life than any other time. 82. I am a total introvert. My energy is depleted by being around people and I am re-energized by being alone. 83. I don't mind going to movies alone. 84. I will go to high school sporting events by myself, even if I don't know anyone playing. 85. I want to live on a farm. And if that isn't possible then I would at least like to stay at a dude ranch for a week. 86. Having a child was the best thing that ever happened to me. 87. I have been known to report a helpful, friendly service or sales person to their manager because I don't think people do this often enough and everyone likes to feel appreciated. I wrote a letter (I know, me and my letters...LOL) to my labor and delivery nurse's boss after I had Eric to say how wonderful she was. The nurse wrote me a letter back saying how she had been taking a lot of time off for her deaf child's medical care and was not in good standing with her boss. 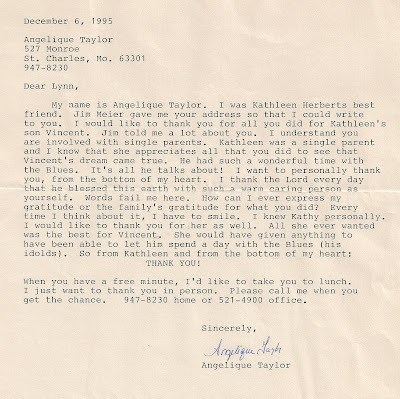 She said the letter was helpful in keeping her job and came at just the right time. 88. I don't have a lot of friends, but the ones I do have are precious to me. I am a loyal friend...once you're my friend, you're stuck for life! 89. I never, ever get bored. I can always find something to do: read, do crossword puzzles, work out, write, etc. 90. I tend to drive too fast, but I haven't had a speeding ticket in 20 years. I get extremely aggravated by people who drive under the speed limit. 91. I try to treat everyone the same: hotel maids, waitress or taxi driver. A person's job doesn't make them any more or less deserving of dignity, courtesy and respect. My dad is better at this than anyone I know. 92. I have nice writing and printing, but I cannot draw worth beans. 93. I love that I have older stepkids because I can't wait to have grandkids! 94. I love riding roller coasters and would still ride them if not for my neck and back problems. Grrrrr. 95. I have a MAJOR pet peeve and that is when people dress their babies (especially newborns) in sleeveless clothes, with bare legs and no socks, but they themselves have on a sweater and long pants. Hello people! And yes this is the only pet peeve I have where I will say something to the person, but I do it nicely. "Oh, what a cute baby. Poor little thing must be cold, no?" 96. My sister and I have an uncanny tendency to call each other just when the other person was thinking of doing the same or at least thinking about them at that exact moment. It's almost spooky. 97. When Eric was in 4th grade I made up a song that names all the elected US Presidents and how many terms they served. We both still remember it. "Washington, Washington, Adams, Jefferson, Jefferson, Madison, Madison, Monroe, Monroe, Adams, Jackson, Jackson, Van Buren, Harrison, Polk, Taylor, Pierce, Buchanan..." I know, so weird, but it's the only way I can remember things. 98. I read the obituaries. 99. I have been to Asia and Europe, and I would love to visit Africa and go on a safari. I've read four books in two weeks. I started the Invisible Wall a while ago but library books on hold kept coming in. Good book, not great. A love story about a Jewish girl and a Christian boy during World War II. Snow Flower and the Secret Fan was WONDERFUL and I highly recommend it. It's the story of two Chinese girls who become lao tongs (forever friends) and their nu shu (secret language for women) which they write on a fan that is transported back and forth between their towns. I love novels like this where you learn about a foreign culture and their traditions; in this case, painful foot binding, nu shu - a secret language just for women that is no longer used - and many others. The author, Lisa See, makes you feel like you are right there living with the girls. She also wrote a book that's out right now called Shanghai Girls, as well as Peony in Love, which I haven't yet read. Okay, I'm a complete introvert, so this book at the library caught my eye and I had to get it. If you are an introvert and throughout your life have been made to feel embarrassed or ashamed because of it, get this book. We are the way we are, and this world would be chaotic if only extroverts existed. Someone needs to be calm, cool and collected! Not sure if you're an introvert or extrovert? (some people are a little of both, but not me), there is a test in the book to determine that. This wasn't in the book, but my psychologist friend gave the BEST explanation of introverts and extroverts: An introvert has their energy drained by being around people and is re-energized by being alone, and an extrovert's energy is drained by being alone and is re-energized by being around people. So how do YOU get your battery re-charged? Being with people or being alone? This libary book also caught my eye....FIFTY ACRES and a POODLE? Right up my alley since I would love to live on a farm and I love dogs. Really cute book. The author, a total city person, moves to a farm with her boyfriend (now husband), and their dogs. She knows nothing about tractors, sheep (her neighbor's), or how to mow 50 acres of grass, but she learns quickly. And yes, I still want to live on a farm. 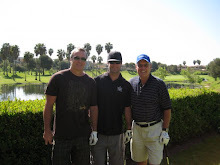 Click below to see our pictures from California. So cute! By the way, Eric and my brother Gary are the same exact height, which means Eric is now 6'7 and 3/4". Now I know why Gary always rounded his height up to 6'8". "How tall are you?" "Six seven and three-quarters." :) Eric, who at 15 doesn't like being so tall, rounds it down. If you ask how tall he is - which I don't know how many strangers in the airport did - he'll say 6'7". But really, if he has shoes on, he's pretty much 6'9". Question two from strangers, immediately after question one: Do you play basketball? Thank goodness for now he can say yes. He has an echocardiogram appointment at the end of October, but he was hoping to get results before tryouts and I think that will be after tryouts. That was their first available appointment. I don't blame him. What if he goes through tryouts, 5 different cuts, makes the team, and then the doctor says he can't play. Hmmm...I'll have to work on that. Another beautiful day in sunny California. August is the perfect time to visit. We know not to come out here during "June Gloom." Yesterday, Eric, Krista, Ryan and I took a cooler full of drinks and snacks and plopped our chairs in the sand and sat there for 4 or 5 hours. Mark and Maysen were at beach camp just a lifeguard tower away. We were able to see them playing games and jumping in the waves. Every time we come out here Eric and I eat at THE best Mexican restaurant - El Sombrero - which has been around since I was a kid. There are two of them, but the main one in downtown Manhattan Beach was destroyed by a fire last year and it will finally be re-opening in about a month. Anyhoo, we've been here for two days and have eaten at El Sombrero twice. The Mexican restaurants in Missouri don't compare at all to those in California. Today we are going to my mom's to get her up and about, maybe go to her condo pool, and then later take her to Mark's baseball game. I'm having sports withdrawals so I need to go to a game, even if it's 7-year-olds. Gotta have my sports, and it's not often that I get to see Mark play. Okay...NOW I'm ready to be a grandmother, Brian. Technically you ARE Eric's "big brother," which would make you my son, which would make...well, you get it. And I just had to add this picture from Canine Companions for Independence (CCI) for whom my dad's wife Trudy (my animal lover-soul sister) does volunteer work. My dad donated Dodger items to them and being the professional dogs they are, this is how they posed all on their own. Maybe they had a little help with PhotoShop. 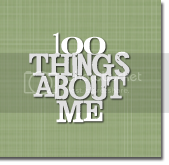 I'm still working on my 100 Things About Me. Eric and I leave in three days for California. I'm excited because I haven't been there since Christmas. Eight relaxing days hanging out with the family before Eric comes back and starts school on August 20th.